Collier County crews are scrambling to get ready to host the U.S. Open Pickleball Championships in April. 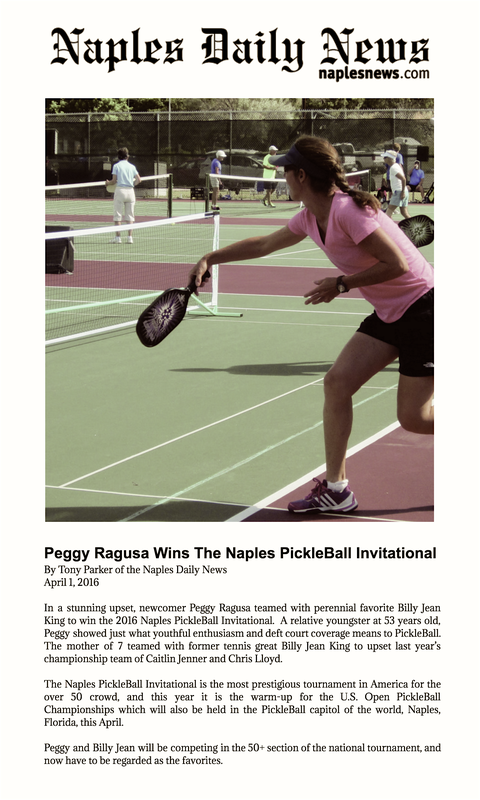 The weeklong event is expected to draw about 5,000 spectators to East Naples Community Park, as some of the top pickleball players from around the world compete in the inaugural open. The county needs to build 12 new permanent courts along with six temporary ones for the event, which will include as many as 1,000 players in a mix of highly competitive and more casual events. The work, which will cost about $250,000, will start next week after commissioners streamlined construction by waiving a public bid process to make sure the courts will be ready in time. The type of surface the county is using — called DecoTurf — takes about a month to settle, leaving just a few weeks to start the work in time to make the tournament, county officials said. The pricey surface is the same used in Flushing Meadows for the U.S. Open Tennis Championships and for tennis events in each of the last two Olympics, said Terri Graham, founder of the U.S. Open Pickleball Championships. The surface gives a little more bounce than asphalt, and is more forgiving on a player’s knees, joints and ankles, she said. The county is essentially hoping to get in on the ground floor of the increasingly popular sport and is betting that demand for pickleball courts and events like the U.S. Open will continue to grow. Collier County has a contract to host the championships for the next three years, and tourism officials hope to host it for the foreseeable future if the event is a draw. County parks officials are looking to add more pickleball courts to keep up with demand. It’s a sport that in many ways is tailor-made for Collier County. It’s particularly popular among the plus-55 crowd, said Graham, who spent 21 years with Wilson Sporting Goods as has been involved with racket sports for most of her life. It’s also a more social game than tennis and other racket sports, she said. Pickleball has always been played more in the style of a pickup basketball game, where anyone can show up to a court and expect to get added to a team. Tennis, on the other hand, has always been more of a bring-your-own partner kind of deal. The park system needs the new courts, which will be open to the public after the championships, to keep up with demand, said county spokesman Daniel Christenbury. It’s not often that events in East Naples can draw a few thousand spectators plus a few travelers and players from overseas, said Commissioner Donna Fiala. The championships will run from April 26 to May 1. Most events will be free for spectators. Tickets will be sold for the championship court. For a list of events or to register a team go to usopenpickleballchampionship.com.